A judge repeatedly called a lawyer incompetent, called his questions "incredibly stupid", called him "stupid", and said his failings meant his client could not get a fair trial. 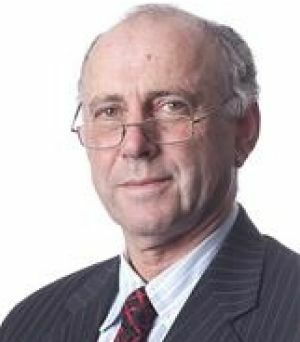 The extraordinary clash between Victorian County Court Judge Mark Dean and defence counsel Benjamin Lindner in a criminal trial has Victorian legal circles buzzing, Fairfax Media understands. The judge has also been criticised for referring to a defendant and his co-accused as "pathetic drug addicts". 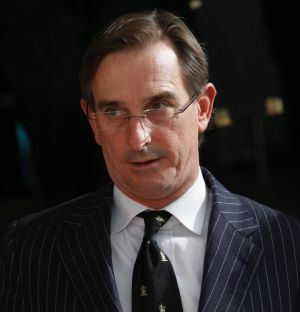 In one heated exchange during the criminal trial Judge Dean called the defence lawyer's questions "stupid" three times, before simply calling him "stupid". Judge Dean: "[Defence counsel], you are unbelievable. Unbelievable. I will use my description that I used yesterday. You are stupid. I ruled"
Mr Lindner: "I've got my role. You've got your role." Judge Dean later told Mr Lindner: "I cannot believe what has happened in this trial, some of the decisions that have been made by the defence. It is beyond me, absolutely beyond me. "In 35 years as a criminal lawyer, 10 years as a silk, I have never seen such incompetence by introducing evidence in a trial which is evidence of the accused man's guilt. And I, for the life of me, have no idea what his defence is." The judge's comments came to greater notice after the Victorian Court of Appeal delivered a verdict on an appeal in the case on Monday, which contained large sections of extraordinary and heated transcript between Judge Dean and Mr Lindner. The Court of Appeal decision described the judge's behaviour as "needlessly argumentative and rude". "No matter what view a judge has of the manner in which counsel is running the case, to insult and demean counsel, even in the absence of the jury, is not only likely to offend and embarrass counsel but also to risk impeding counsel in conducting the trial and thus risk giving rise to a miscarriage of justice," the Court of Appeal judges said in their finding. Michael Calvert Cook was convicted of two counts of armed robbery after using a gun to hold up two gaming venues in Mentone in 2012. Cook was sentenced in March 2015. His co-accused, Katherine Nanopoulos pleaded guilty and was sentenced in June 2013. Cook appealed his conviction in March specifically on the behaviour of the judge, with Cook claiming the judge "interjected on too many occasions, descended to the arena and donned the mantle of [the] prosecution", and was biased against him. ​His argument centred around a key turning point in the trial. Nanopoulos had burnt some clothes two or three days after the armed robbery he was charged with- a piece of evidence the prosecution could use to argue to the jury she was trying to conceal evidence of a crime. Judge Dean ruled this was inadmissable evidence, meaning the prosecution could not present it to the jury, weakening its case. However defence counsel decided to cross examine Nanopoulos about the evidence, meaning it would become admissible and the prosecution would be able to lead it to the jury. That led to an extraordinary exchange between the judge and the defence counsel, where Judge Dean questioned Mr Lindner's running of the case. Judge Dean: "What do you propose to ask her?" Mr Lindner: "Whether she said anything about burning clothes in her statement of 30 April." Judge Dean: "So you want to open up all the evidence that I've ruled is inadmissible." Mr Lindner: "No, no. This goes to her credit." Judge Dean: "Yes. But my role — no. But, [defence counsel], you are sailing very close to your ethical responsibilities to this court. You have a primary responsibility to behave in an appropriate manner and to ensure that this process and proceeding is conducted according to law." Later Judge Dean told Mr Lindner: "I am getting very close to reporting you. Your behaviour in this trial is completely unacceptable. This case has been going for 11 days." Judge Dean: "It is an embarrassment. Your conduct of this trial, and the ridiculous submissions you make, and points that have no substance, are a serious breach of your duties to this court." At another point the judge observed the defence counsel had "a very unfortunate habit of asking a whole lot of unnecessary questions" and called one of his questions to a witness "incredibly stupid". This was in response to counsel's questioning of Nanopoulos about whether she had enjoyed jail. During the trial the judge worried aloud whether the accused would be able to get a fair trial. "I have become exasperated with [defence counsel's] incompetence, and I don't think Mr Cook is getting a fair trial because of that". Judge Dean played a very active role in the trial, repeatedly interrupting prosecution and defence evidence to ask his own questions. The appeal judges noted he appeared to grow frustrated with the way both the defence and the prosecution were conducting their cases. "It is not clear why the judge interrupted the cross-examination to ask the direct question about Alex Cook," the appeals judges note. At another point the appeal judges noted "the trial judge's interventions were unnecessary and risked undermining the course of cross examination". 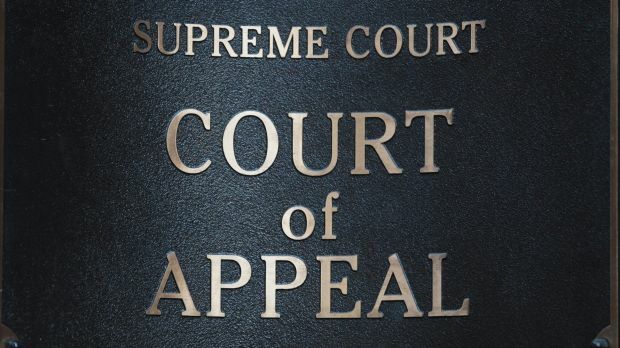 The appeal judges also found it was unnecessary for the Judge Dean to repeatedly describe Cook and Nanopoulos as "pathetic", and at one occasion call them "pathetic drug addicts". However they found this did not affect the trial, as the comments were not made in the presence of the jury. While the appeal judges were critical of some of Judge Dean's conduct during the trial, they found the appeal should be dismissed and the conviction upheld, because the judge's actions did not cause a miscarriage of justice. Neither Judge Dean nor Mr Lindner would comment on the story when contacted by Fairfax Media.